Well, here is the Galaxy S4 Mini from Samsung. Unfortunately, this somehow does not feel as exciting as the leaks for its larger brother, but for anyone that loves Mini Mes, here you go. 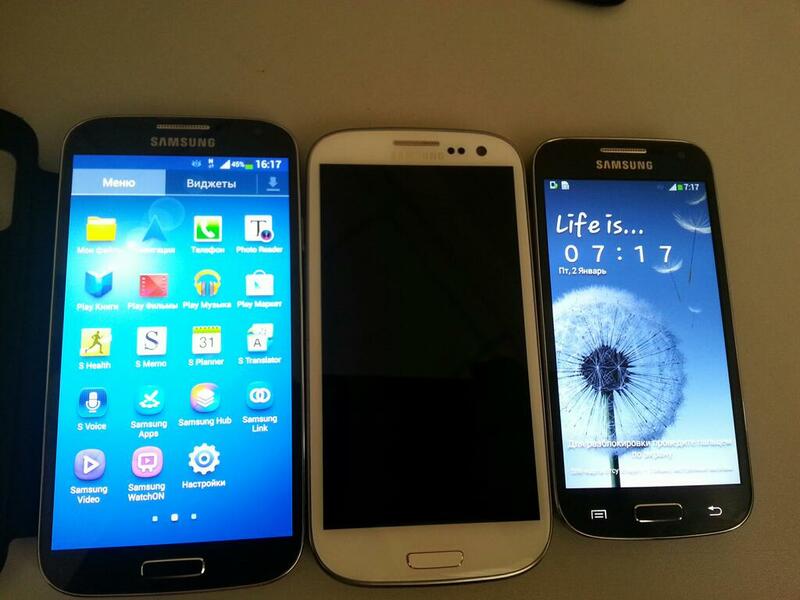 The device is pictured above on the far right, running a Super AMOLED qHD display (no word on exact size) at 256ppi, powered by a 1.6GHz dual-core processor. According to the source, it will come in two variants; one with dual-sim and one without. In terms of when we can see it hit markets, it is reported that June or July will be around the time of launch.